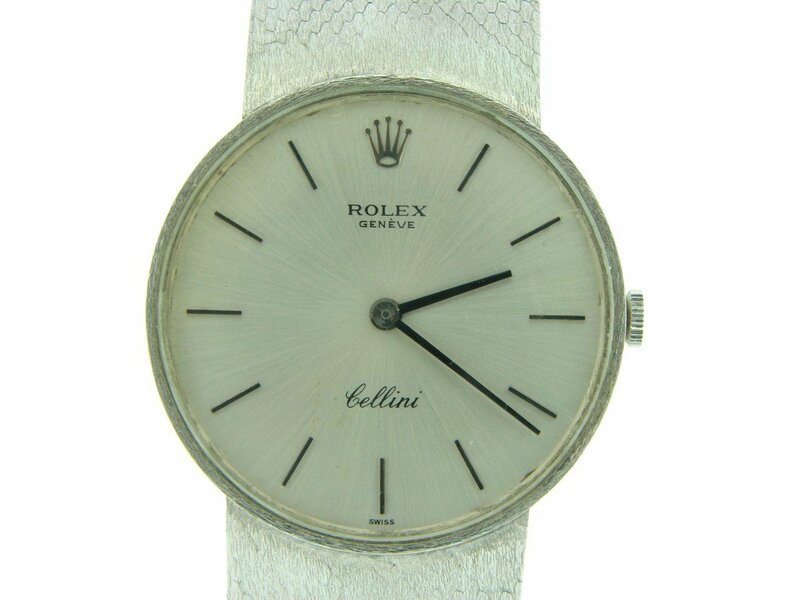 Beckertime is proud to offer this AMAZING 100% genuine factory original Rolex timepiece. 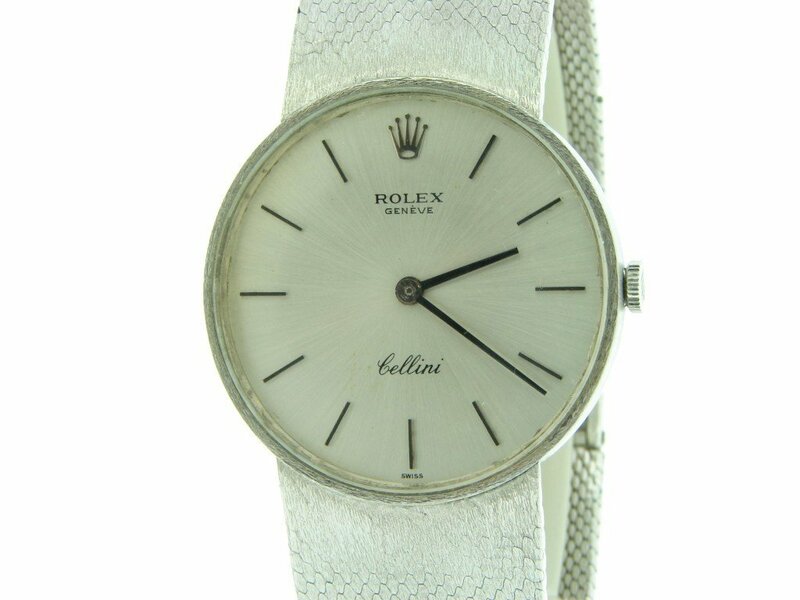 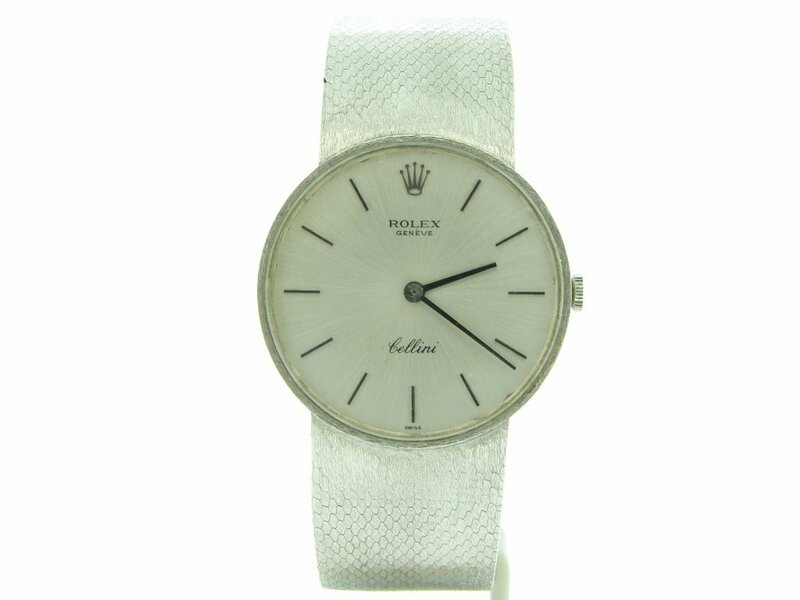 It is a Midsize Rolex Solid 18k White Gold Cellini Watch w/Silver Dial ref #3833 from the 1970’s that is guaranteed to impress. 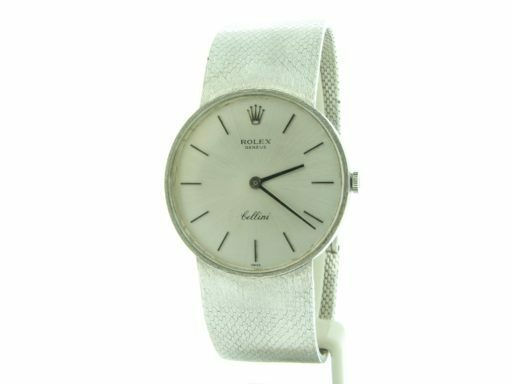 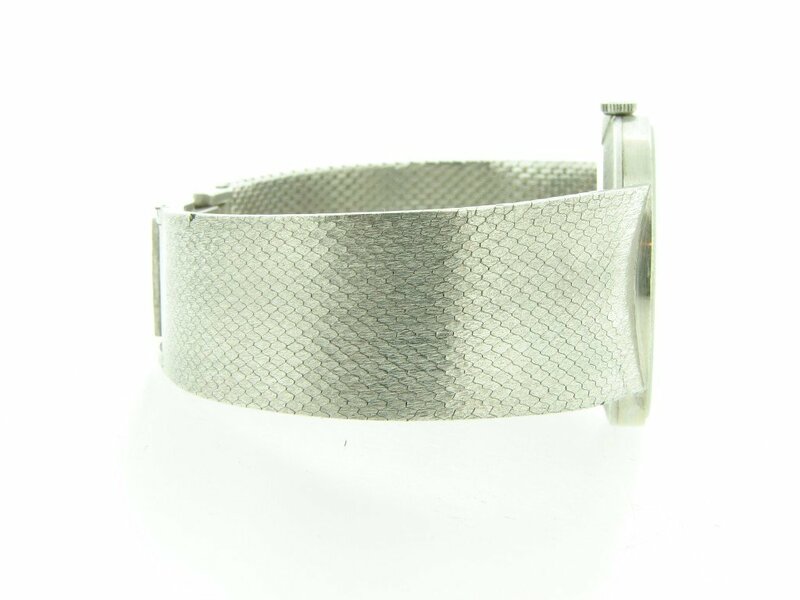 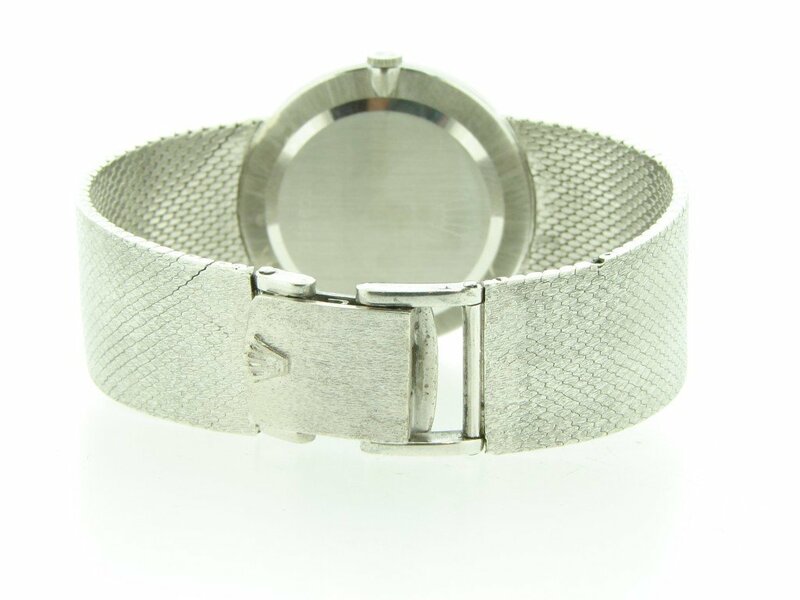 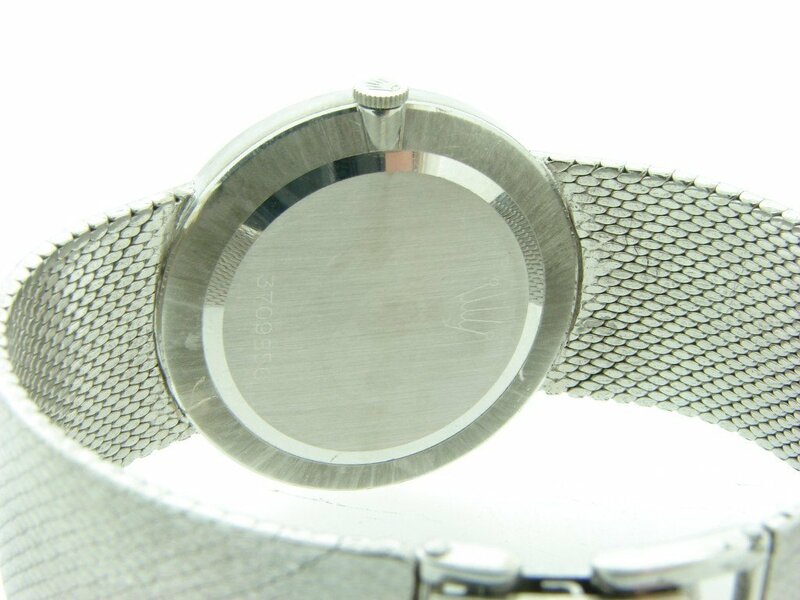 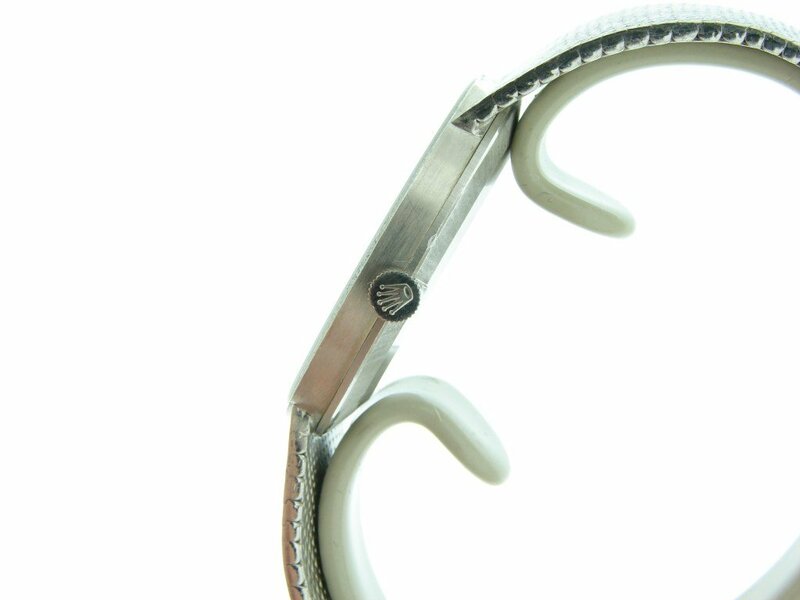 Band Rolex solid 18k white gold is in excellent condition with one nick on the edge and some waving from being worn over the years.